Most people know a lot about the foods and drinks that can promote tooth decay, cavities and inflammation. However, you may not realize that there are certain ingredients that can actively improve the health of your teeth and gums. Read on to discover some of the most effective. 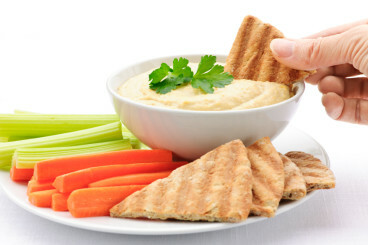 Slices of raw carrot make a delicious and nutritious snack, and a humus dip is the perfect accompaniment. There are a few different reasons why this type of snack can improve your oral health. Firstly, when you crunch carrots this helps to remove food residue on and between your teeth. If left in your mouth, this residue can encourage bacteria and eventually lead to tooth decay. Secondly, carrots are a source of minerals that also help to limit bacteria in your mouth. In addition, it is worth noting that chewing on carrots causes an increase in saliva production, reducing staining on your teeth and helping to keep your smile bright. You may already be aware that kale promotes cardiovascular health thanks to its ability to lower cholesterol levels and reduce the risk of blood clots. As it turns out, kale is also very good for your oral health. Just a single serving provides your body with close to 200% of your recommended daily intake of vitamin A, which your body needs in order to form hardy tooth enamel. 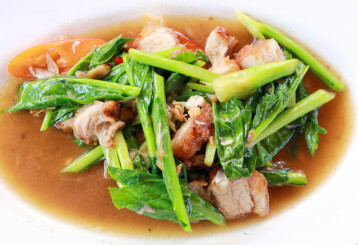 Although most people like kale with pork/beef, this leafy green vegetable can also be paired with chicken or tofu. 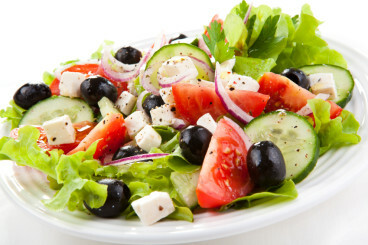 A traditional Greek salad is made with onions, bell peppers, olives, lettuce and feta cheese. You can create a healthy dressing with basic olive oil and some lemon juice. Several ingredients in this tasty salad will help to promote your dental health. Firstly, lemon juice is a natural tooth whitener, leaving you with a more attractive smile. Secondly, feta cheese is a source of lactic acid, which studies show can reduce your risk of suffering from tooth decay. Finally, raw onions have been proven to help destroy some of the bacteria that cause cavities. 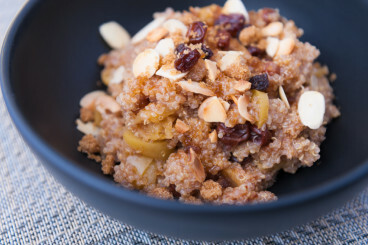 Quinoa is one of the most powerfully healthy grains. If you combine it with dried fruits and some of your favorite nuts then you can make a rich porridge that satisfies you in the morning in addition to boosting your dental health. Quinoa provides you with calcium, phosphorus, manganese and magnesium, all of which have been repeatedly proven to strengthen your teeth. Stronger teeth are less likely to crack. Many smoothies sold in stores and made by juice bars are packed full of extra sugar that encourages cavities and weight gain. 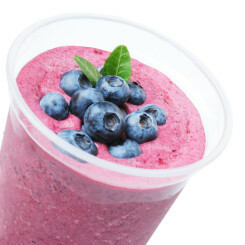 However, if you make smoothies at home then you can ensure that they are extremely healthy. For example, you can make a refreshing smoothie with crushed ice, blueberries, strawberries, fat free yogurt and green tea. Strawberries and blueberries provide you with vitamin C that protects your teeth and gums from damage, while green tea is a source of a useful chemical called catechin. Catechin can reduce the growth of the particular bacteria that cause gingivitis. In addition, yogurt contains ‘good bacteria’ that help to combat the infamously bad bacteria that cause gum disease and tooth damage. Although you may already like salmon without any added flavors, you can enhance the taste of salmon fillets by creating a rub made from garlic, butter, a sprinkling of salt and a tablespoon of basil. 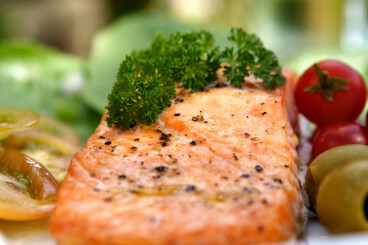 Salmon is one of the best natural sources of vitamin D, which helps your body to make more calcium. Calcium, in turn, makes sure that your teeth stay robust and healthy. 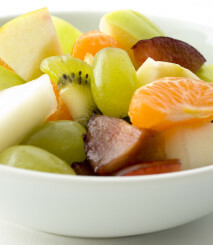 You can easily make an inexpensive and delicious fruit salad that helps to protect your teeth and gums. The trick is to include a wide range of fruits that are rich in vitamin C. Ideal examples include apples, oranges, blueberries and strawberries. If you have a high intake of vitamin C, you will be less likely to develop gum disease and less likely to develop a dangerous buildup of plaque on your teeth. 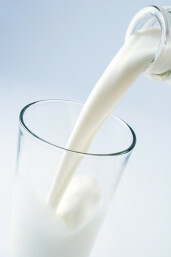 If you get hungry between meals, milk can help to tide you over until lunch or dinner. As a bonus, dairy products like milk and cheese help to reduce the amount of acid in your mouth, reducing damage to your teeth. 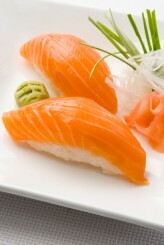 Finally, the spicy wasabi that is often paired with sushi can also help to improve your oral health. Japanese scientists have performed trials that suggest that wasabi reduces the amount the bacteria that sticks to your teeth, lowering your risk of cavities.